Kate Middleton To Be Labor Induced After Switching Hospitals: Six Days Past Due Date as Superbug Hits St. Mary’s? The birth of Prince William and Kate Middleton’s second child could happen at any moment. Kate’s due date was April 20 so her doctors are likely preparing to induce labor. Kate is set to give birth in the exclusive Lindo wing of St. Mary’s hospital. However, there could be a change in plans. Eight patients at St. Mary’s have been infected with a dangerous form of a superbug. The infections have shut down a nearby ward. The “potentially deadly CPE (carbapenemase producing enterobacteriaceae)” has closed a surgical unit so that it can be scrubbed from top to bottom. Hospital officials appear to have the matter under control, but will Princess Kate Middleton and the rest of the royal family really take the risk? The royals already have other hospitals ready and waiting in case a quick change needs to be made. St. Mary’s Hospital in Paddington is obviously their top choice, but they have other good options. The Royal Berkshire Hospital and Addenbrooke’s Hospital in Cambridge are prepared if Kate needs another location for the birth. While the superbug seems to be contained at the moment, there’s no guarantee that it won’t spread to other wards at St. Mary’s. The Lindo wing is technically housed in a separate unit across the street, but the royals may decide that it’s better to be safe than sorry. After all, this baby girl or boy is fourth in line to the throne. No one is taking any chances when it comes to the health of Kate Middleton and the royal bundle of joy. Wherever Kate ends up giving birth, it’s sure to be a big event. After the media blitz surrounding the birth of Prince George, security has increased this time around. The royals have taken all the necessary steps to ensure that everything runs smoothly. Police sniffer dogs will be combing the grounds and a helicopter will loom overhead to watch for any possible threats. We’ll keep you updated if there are any announcements regarding the birth of Prince William and Kate Middleton’s second child. 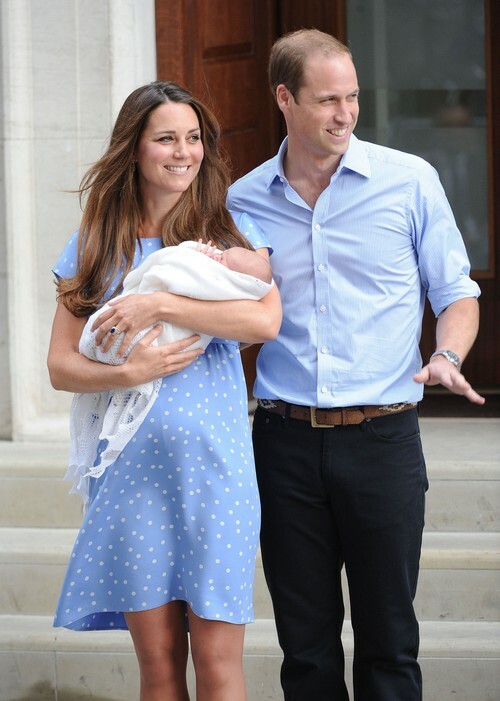 What do you think about the news that Kate Middleton is past her due date and labor may be induced? Will the royal family change their plans due to the superbug at St. Mary’s? Would that be a smart decision considering what’s at stake for the Duchess of Cambridge? Let us know what you think in the comments below and don’t forget to check CDL often for the latest updates and news on Kate Middleton. Kate Middleton’s Test Tube Babies – Royal Family Hides The Truth – Twins or Triplets Expected! Kate Middleton, Kim Kardashian Lying About ‘Natural’ Childbirths?